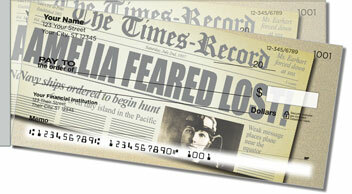 Amelia Earhart's first flight wasn't on an airplane. It was on a homemade roller coaster she put together as a little girl. She and her sister Muriel constructed a ramp with the help of their uncle after visiting the St. Louis World's Fair. The first ride resulted in a crash landing from the roof of a toolshed. But Amelia told her sister it was just like flying. 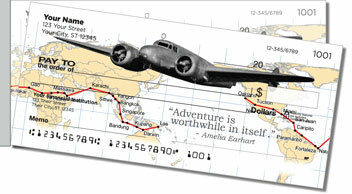 As you know, her many childhood escapades were just the beginning of Earhart's adventures. She remains an inspiration to all of us. Her spirit and imagination remind you to push the limits and live life to its fullest. 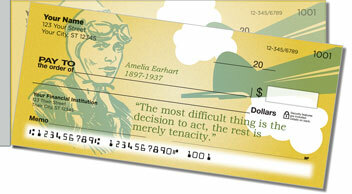 Get your very own Amelia Earhart Side Tear Checks right now! 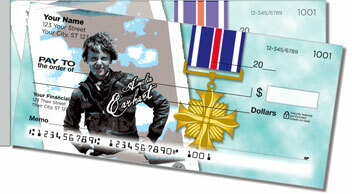 This design can also be ordered as a set of matching address labels.